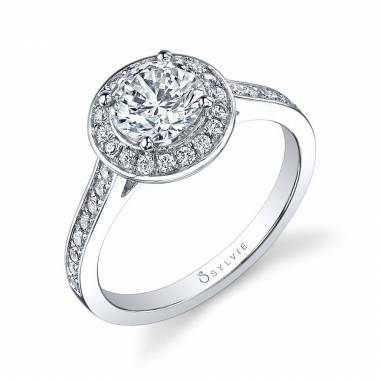 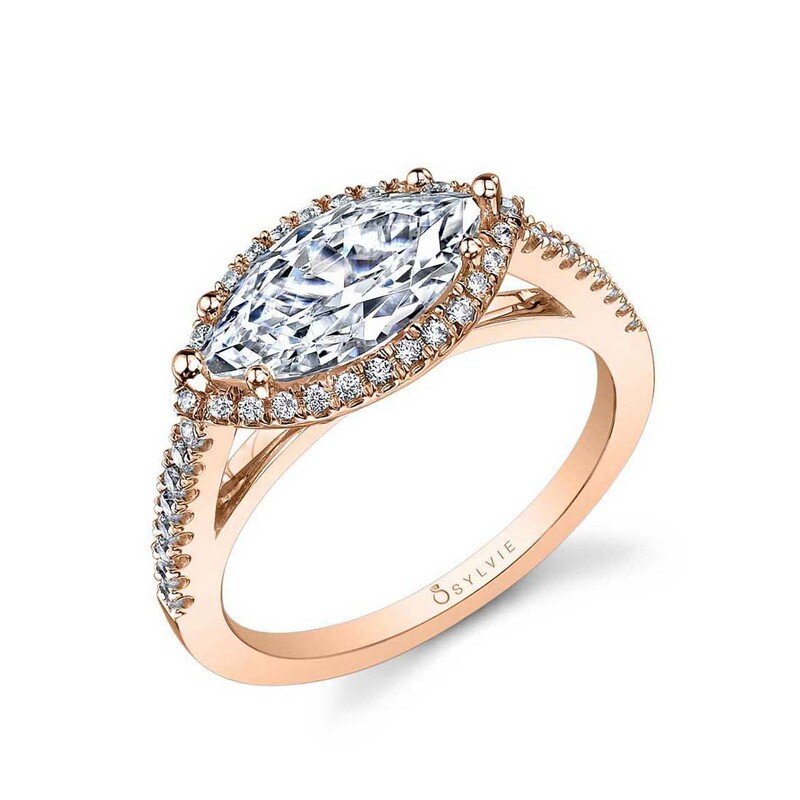 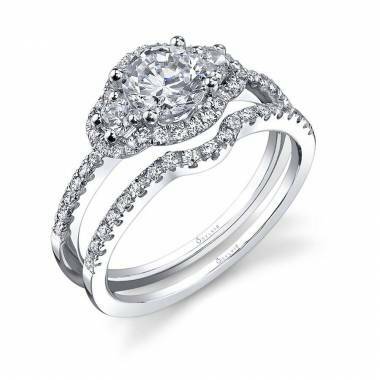 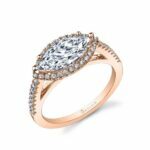 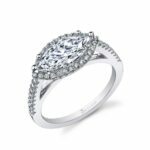 This magnificent marquise engagement ring features a 1 carat marquise cut diamond center in a west-east position accentuated by a shimmering halo of round brilliant diamonds. 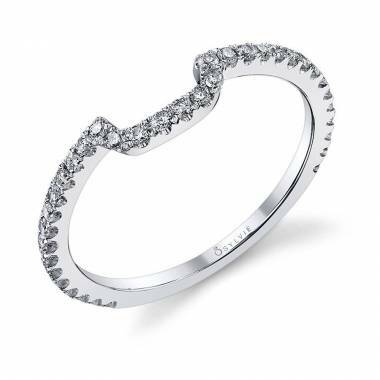 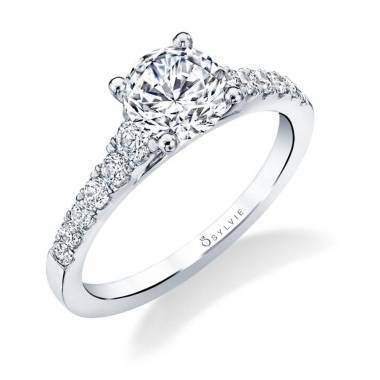 Cascading diamonds down the shank create a flow of breathtaking sparkle as it holds the glorious crown. 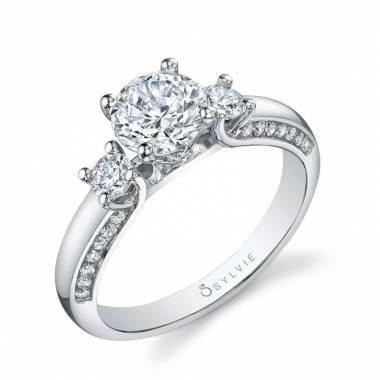 The total weight of this stunning setting is 0.34 carats.